Since the first plane flew a number of countries and their engineers have tried to design a plane with vertical take off and landing capabilities. 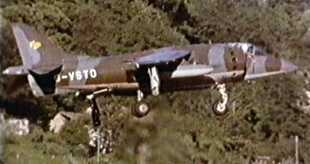 This has proved very difficult and at the moment only one plane, the Harrier Jump Jet has been successful. It was introduced during the 1960s and especially the 1970s and was a major reason for British success during the Falklands war of 1982. During the Second World War the German Luftwaffe experimented with attaching rockets to planes so that they could use shorter runways. The photograph opposite shows an early attempt. 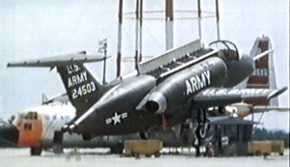 After the war the United States Air force carried on with this experimentation developing aircraft that had rockets that enabled the use of shorter runways. The USA persisted with this technology throughout the 1950s and 60s. 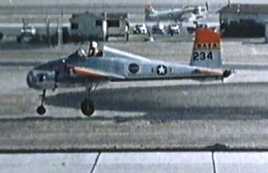 The Bell Aircraft Company in the USA produced the first working prototype of a vertical lift plane, called the Bell X14. 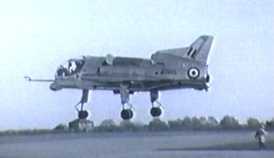 This had two jet engines in the nose but it was under powered and could only manage to lift its own weight. The Ryan Company (USA) designed an usual prototype which required a stand from which it flew. This was a radical approach but it was very difficult to fly as it had to be hooked back on to the stand in order to land. It was not developed further. The USAF next developed the ‘Humming Bird’ but this proved to be far too heavy to be practical as the engine compartment dominated the length of the plane. 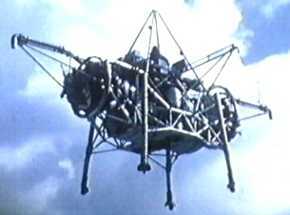 The British were also interested in vertical lift off technology and Rolls Royce developed the ‘flying bedstead’. This device could carry its own weight and had the advantage that it could actually be controlled adequately by the pilot. Shorts, the famous aircraft company based in Northern Ireland designed and partially developed their ‘Sc1’. This had five engines four of which were used for vertical take off. However, it could not fly far. 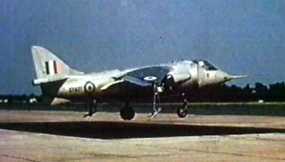 Hawker Siddeley produced there first Harrier Jump Jet as a prototype in the late 1950s. 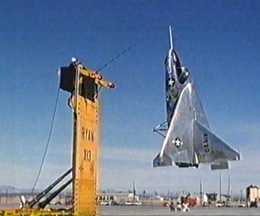 When it was first tested it had to be held to the ground by cables and had only enough thrust to raise it a small way off the ground. The plane was radically different to other vertical take off prototypes as it had only one engine which delivered thrust through four rotating nozzles. (The Pegasus jet engine was designed by Gordon Lewis). After years of development the Harrier Jump Jet was brought into service with both the RAF and US Marines. The Harrier is still used throughout the world and is still being developed.